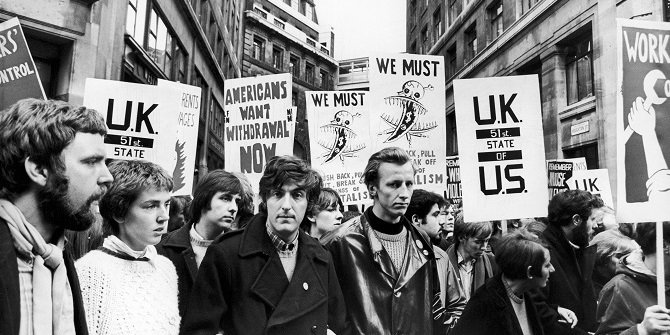 50 years ago, the School was temporarily closed while a period of student opposition to the Director, Walter Adams, played out against a backdrop of global civil unrest 1967-69. 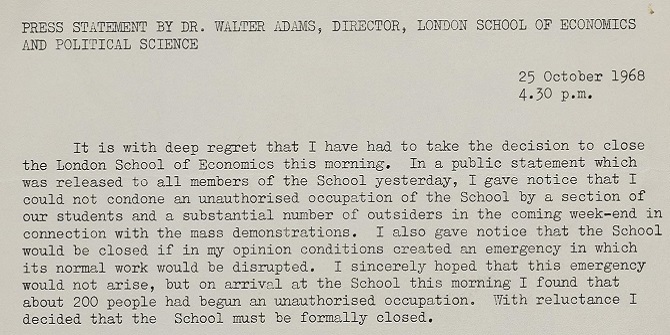 This series of posts tracks the cause of discontent, beginning with the 1966 announcement of Adams’ appointment of as Director, what happened, and why. 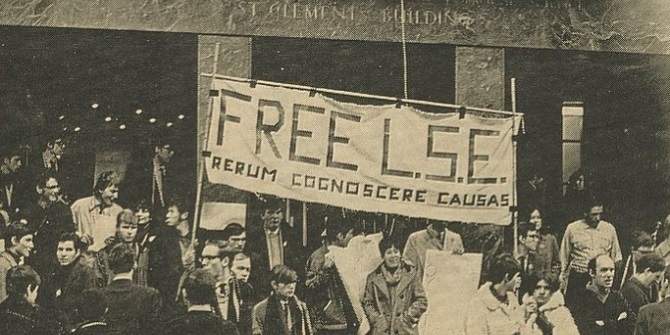 In this LSE Festival event podcast, Professor Michael Cox, LSE IDEAS, and Sue Donnelly, LSE Archivist discuss student unrest in the late 1960s and its legacy. 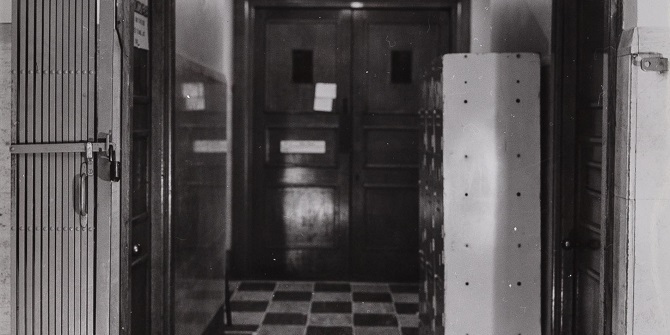 50 years ago in 1969 the School was closed for 25 days. 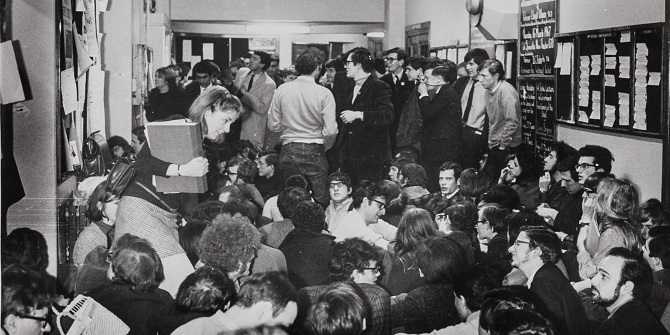 LSE Archivist, Sue Donnelly, investigates the events and causes of that turbulent time. 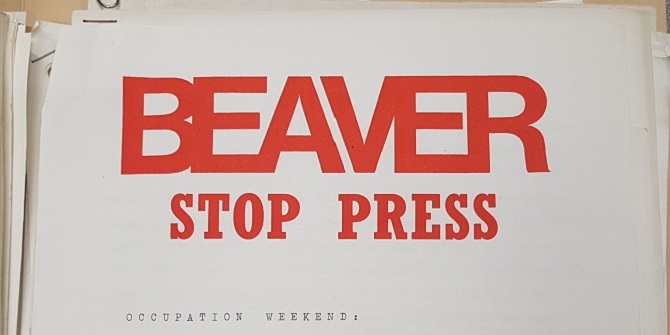 The Camden Poster Workshop produced many protest posters for LSE students 1968-69 including one memorable occasion at a 1968 sit-in, write Workshop co-founders Peter Dukes and Sam Lord.